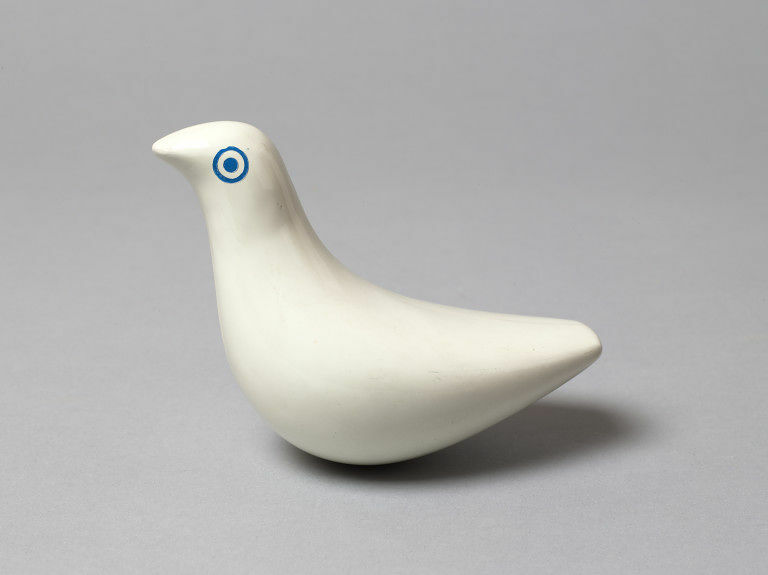 This is a bath toy in the shape of a bird designed by Patrick Rylands, designer of toys for Trendon Ltd., Ambi Toys, Brio and others. Patrick Rylands had trained as a ceramicist at the Royal College of Art, and his love of sculptural forms, combined with his interest in plastics technology, lead him to design smooth rounded plastic toys which were easy for small children to handle. 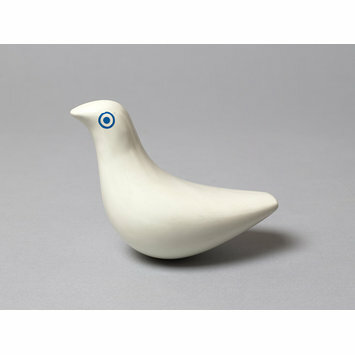 This bird is one of a group of toys by this designer that won The Duke of Edinburgh's Design Award in 1970. A bath toy in the shape of a bird made from injection moulded A.B.S. (plastic). It has an internal ballast weight to ensure that the toy keeps its balance in the water. The plastic is white; the eyes of the bird are indicated with a black spot within a black ring.